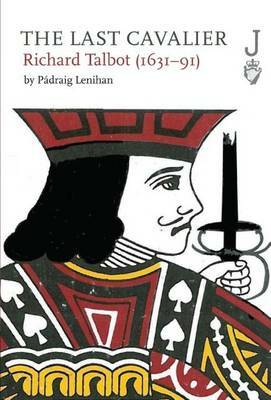 One upon a time there would have been no need, as Padraig Lenihan does at the start of this book, to assert the reason why one would write a biography of Richard Talbot, Earl of Tyrconnell. Talbot was the last Irish Catholic to serve as Lord Deputy of Ireland, a post he held at the pleasure of the last Catholic King of England (or Ireland), James II. He died in 1691 as the forces of the Protestant king William of Orange, who had overthrown James in England itself in 1689, conquered the country. Bar the fairly brief period when James Stuart himself was in Ireland, Talbot headed the Jacobite regime there from 1688-91 which was usually counted as one of the failed attempts at Irish self-rule and Catholic equality – indeed dominance – prior to the 20th century. For a brief time the Penal Laws against Catholics were abolished, land confiscations halted and in some cases reversed and the Irish Parliament, by now dominated by Catholic Jacobites, even voted its independence from the British one. Richard Talbot Earl of Tyrconnell was the last Irish Catholic Viceroy of Ireland, in the 1690s. At one time the Jacobite-Williamite War of 1688-91 loomed large in Irish national consciousness; for Protestants the brave defence of Derry and Victory at Aughrim and the Boyne; for Catholics the treachery of James at the Boyne the heroics of Irish soldiers holding the bridge in Athlone and the walls of Limerick, the bravery of dashing cavalryman Patrick Sarsfield and the tragedy of defeat and the exile of the Wild Geese. To some extent these far off events still feature in unionist historical memory but they have largely been supplanted by more recent events in nationalist consciousness. The 1690s saw a potential Catholic renaissance in Ireland but in practice saw the founding the ‘Protestant Ascendancy’. Talbot led the Catholic cause but he was little loved in the Jacobite or later nationalist memory. For one thing he was not of Gaelic Irish but rather ‘Old English’ blood. As Lenihan comments this did not stop Patrick Sarsfield (with whom Talbot in fact did not get on at all) from becoming a type of national icon. But Talbot was also accused by Irish Jacobite writers (unfairly Lenihan argues) of cowardice and treachery. Add in the fact that Protestant or Williamite accounts accused him of everything from lying to anti-Protestant bigotry to sexual debauchery and it becomes clear that Talbot has not had the best of press over the centuries. However in 17th century terms, as Padraig Lenihan makes clear in this book, he was a pivotal figure in Irish history. Talbot came from the powerful ‘Old English’ aristocracy (in practice ethnically a mixture of Norman, English and latterly Irish) that had settled in Ireland throughout the middle ages, principally in the Pale around Dublin. The Talbots held lands in north Dublin and Meath and also on the fringes of the Wicklow mountains in what is now the county border between Kildare and Wicklow. Having held themselves up as bastion of English civility against Irish barbarism for at least three centuries, the Old English, who retained the Catholic faith despite the English Reformation, found themselves on the wrong side of a Protestant English state that by 1603 had for the first time real control over all over Ireland. Talbot came from the ‘Old English’ Catholic aristocracy of the Pale and from his teenage years fought in the wars of religion that wracked 17th century Ireland. So just as they had a chance to fulfil their generations old ambition to govern Ireland themselves as Sheriffs, Justices of the Peace, members of the Irish Parliament and above all as Lord Lieutenant and Lord Deputy, the Old English had this prize snatched away from them by their refusal to recognise the King of England as head of their Church and to attend Protestant services. Many of them along with Gaelic Irish landowners, lost land to the acquisitive ‘New English’ Protestants who were arriving in their thousands. As a result, in 1641 the Pale lords including the Talbots, threw in their lot with Gaelic Irish insurgents as fellow Catholics. The ensuing war consumed Ireland for 11 years, pitting Catholics, who aspired to back the King Charles I, against Protestants, who in the wider conflict that broke out in England, sided with the Parliament against the King. Richard Talbot continued his studies until 1646 but in that year aged just 15 he was sent off to war for the King, country and religion against the forces of the English Parliament. The young cavalry cornet had a remarkably unlucky military career – captured no fewer than three times; at the disastrous Catholic defeat at the battle of Dungan’s Hill in Meath in 1647, again at the siege of Drogheda in 1649 (where he was one of the few Royalist officers not to be ‘knocked on the head’ after Cromwell’s sack of the town) and finally as guerrilla or ‘tory’ in 1650. On each occasion he was important enough to be exchanged back to his own side and not killed and dumped into a mass grave as a common soldier probably would have been. Like most of the major Catholic families, after the defeat of the Catholic and Royalist cause, the Talbots lost their lands at the hands of the Cromwellian regime. Richard Talbot and several of his brothers chose exile in French military service, where along with his brother Peter (later Archbishop of Dublin), the young Richard ended up close to fellow Catholic James, Duke of York, who was eventually to become James II. After a great deal of intriguing, including several plots to assassinate Oliver Cromwell himself, Richard Talbot emerged, after the Restoration of the Stuart monarchy in 1660, as one of the favoured Irish Catholic Royalists. Throughout the 1660s and 1670s Talbot lobbied and cajoled in London for the land confiscations of the Cromwellian period to be reversed in Ireland and discrimination against Catholics ended. It was, to us, a strange world he moved in. The aristocracy in Europe was still essentially a military caste, intended to be well dressed, well read but above all good at applying violence. Richard Talbot fought a number of duels on points of offended honour, not, Lenihan informs us, with the effete 18th century pistol (where the duelists had just one shot and were quite likely to miss each other) but the much deadlier weapons of sword and dagger. Even at Royal court, open brawls were not unknown. This should not really surprise us, as the aristocracy’s main social function was enforcing local government through positions like Justice of the Peace and, in wartime, leading armies. What is more surprising is the importance they also put on having the latest fashion, including the signature wig, to dress up in as well. Another puzzle is that while religious conflict appeared to define Talbot’s political career, he was not a particularly devout man and was keener on alcohol and women than religion (as was the norm at the Restoration court). After James Stuart came to the throne in 1685 and especially after his wife gave him a potential Catholic heir, Richard Talbot, by now Earl of Tyrconnell, finally appeared to have triumphed. First he was made head of the Army in Ireland which he quickly purged of Protestant officers and replaced them with Catholics. Then he called in private arms held by Protestants. After finally being made the Lord Deputy (the King’s representative in Ireland), Talbot seemed to be poised to break the Protestant monopoly on power in Ireland altogether. Lenihan argues that since Talbot left a number of prominent Protestants in positions of power a Catholic Ascendancy in Ireland would have been more tolerant than the Protestant one was. How far this would have gone we will never know. Lenihan argues that since Talbot left a number of prominent Protestants in positions of power a Catholic Ascendancy would have been more tolerant than the Protestant one was in practice after 1691. Would the ownership of land have been reversed and the settlers sent home? From celebratory Irish language poetry (‘John [an Englishman] no longer stands guard, calling out “who’s there?” in his place is Tadhg on Sliabh [an Irishman] who called out “Cia sud?” [‘who’s there’ in Irish]) and hostile Protestant verse such as the satirical ballad ‘Lillibulero’ (‘By my soul it is a Talbot and he will cut all the English throats’) we can see that such questions went far beyond the concerns of the Catholic landed class. They also opened the prospect of renewed ethnic and religious war between mainly Catholic natives and mainly Protestant settlers. In the end though as Lenihan concludes, Talbot’s career ended in failure. Despite French military help, James was chased away from his three thrones of England Scotland and Ireland by William of Orange Stadtholder of the Netherlands and his multi-national (Dutch, Danish, French Huguenot as well as English and Irish Protestant) army. Talbot himself presided over a brief experiment in Irish Catholic self government before dying of a burst ulcer shortly after the disastrous Jacobite defeat at Aughrim and the surrender at Limerick. Catholic power in Ireland was smashed, as was the Old English landed interest that Talbot represented. This is a short but densely researched book. At times the unfamiliar names and intrigues within intrigues that made up 17th century court politics can get a little confusing. However Padraig Lenihan a military historian by trade, has a briskly direct style, almost like a military report at times, sounding out Talbots political and military tactics and the great political issues of his long life. Talbot the man also comes through in outline. Like any skilled politician he was capable of manoeuvring people into position until he finally got what he wanted from them. And if all else failed he let loose on them his infamous temper. It is also somewhat endearing to read little details, for instance that he used spell ‘here’ as ‘hear’ in accordance with his Irish accent and Hiberno-English convention of the time. This is a short but densley researched book on an important and much maligned figure in Irish history. Lenihan concludes that Talbot, ‘had no genius or natural aptitude for war but what he did have was unrivalled firsthand experience’. As an administrator he was tactful but also ‘cunning’. ‘He was no greedier or more corrupt than one would expect’ and at times ‘his cool head and resourcefulness’ saved the Catholic cause. It is hardly a eulogy for ‘the last cavalier’ but it is an indication that a man who dominated Irish life for much of his 60 years should be remembered and studied today. Written by: John_Dorney on 7 January, 2015.on 9 July, 2018.